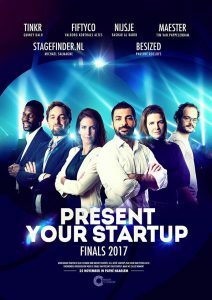 Yesterday were the Present Your Startup 2017 finals, six startups battled their way through the quest for investment and a record amount was raised live on stage! 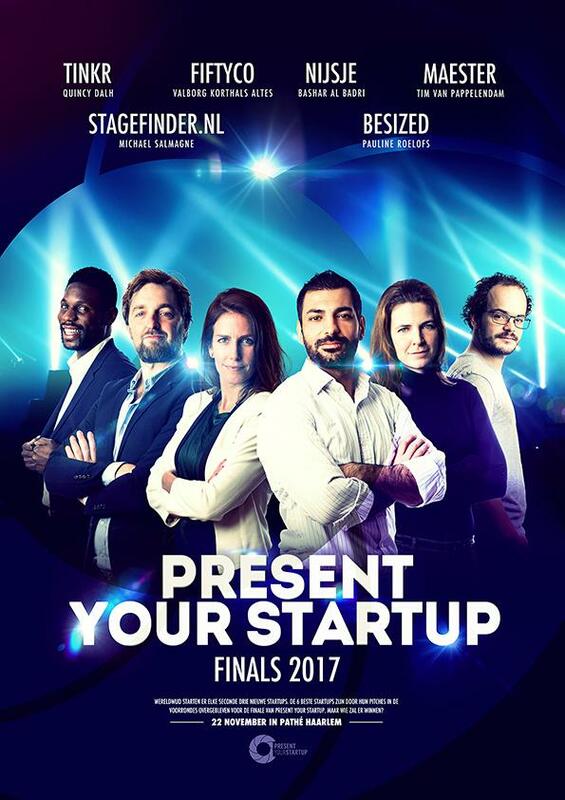 From the finalists, Maester, the e-learning platform for corporates, raised the impressive amount of 410.000 euro investment on stage. 40.000 euro was raised by Tinkr, the online platform connecting IT students with tech corporates and a few smaller investments were made. Overall winner is Maester, with Tim van Pappelendam. Besides the raised amount, he also will pitch his idea during Present Your Startup New York 2018, offered by Rabobank Haarlem and Omstreken. To prepare for this, he will be introduced to the top of the Innovation Rabobank Groep. The Public Choice award goes to Stagefinder.nl with Michael Salmagne. Salmagne will pitch at the NK Pitching for Entrepreneurs initiated by Nathalie Mangelaars. Congratulations to all winners and Present Your Startup for another successful edition.